Dr Gail Baxter is a member of the Lace Heritage Research Group and is the Lace Archive Research Fellow. In this role Gail maintains and develops the Lace Archive and facilitates research that adds to the understanding of the economic, social and technological importance of Nottingham Lace. She is also responsible for disseminating information about the content of the archive and the broader heritage of lace and lacemaking to students, artists and external researchers.In 2018 Gail was part of the team selecting items from the Lace Archive for display in the exhibition ‘Lace Unarchived’. Gail gained a distinction for her MA in Contemporary Crafts – Textiles at the University for the Creative Arts in 2009. She completed her PhD, Re-viewing lace in archives: Connecting the lacunae, in 2015 (University of Brighton/UCA). Her research was undertaken using the lace collection at the Birmingham Museums and Art Galleries and the copyright registers at the International Centre for Lace and Fashion, Calais. In 2016 Gail was a Research Fellow in the NTU lace archive looking at educational pedagogy in the training of Nottingham lace designers in the first half of the 20thcentury. 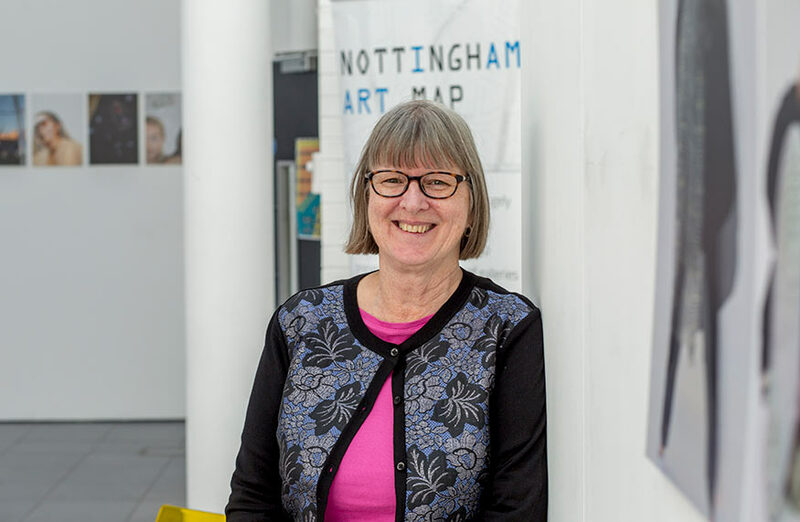 Gail has a wide range of research interests relating to Nottingham lace heritage. Secrecy has been endemic in the industry since it’s earliest days and she is concerned to uncover and preserve the tacit knowledge contained within the Lace Archive. The development of Nottingham lace design is an area of key interest with particularly reference to the training of designers and the development of the little known solid fabrics which were made on Leavers lace machines. Gail is currently researching the wider importance of the plain net industry which has formed the basis for many forms of lace including machine embroidery on net, Honiton Applique, Limerick lace and Carrickmacross lace.